Danny Heifetz (born in 1964), the current, and third drummer Mr. Bungle has had. He replaced Hans Wagner on the drums in 1988, when Wagner was let go of after the band recorded their second demo. Heifetz for sure has music flowing in his blood, since he is also the grandson of the amazing Russian-American violinist Jascha Heifetz. Before joining Mr. Bungle, Danny has also played in Persuasion (in 1979) and Trees of Mystery (1986) and Eggly Bagelface. Danny has been playing for Mr. Bungle and also has spent time working at other projects. 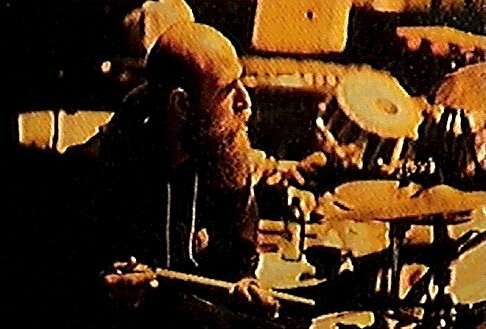 These projects include: Secret Chiefs 3 (drums); he formed a country/punk band called Dieselhed; played with Barefoot Hockey Goalie since 1993; he has also worked with the Zip Code Rapists; and has played with Plainfield. Virgil Shaw & The Killer Views: Danny Heifetz is Virgil's drummer. They are working on their second record. Matt Hall, Marc Capelle, Atom Ellis, Jeff Palmer and William Winant will also be playing on the record. For more, check the site out. Estradasphere are in search of a new drummer. Should rumors of a SC3 tour this fall with Estradasphere, Danny would fill in on the kit for them too!